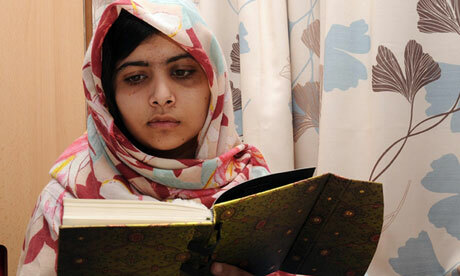 Revolutionary Teen Malala Is Our International Day Of The Girl Hero! 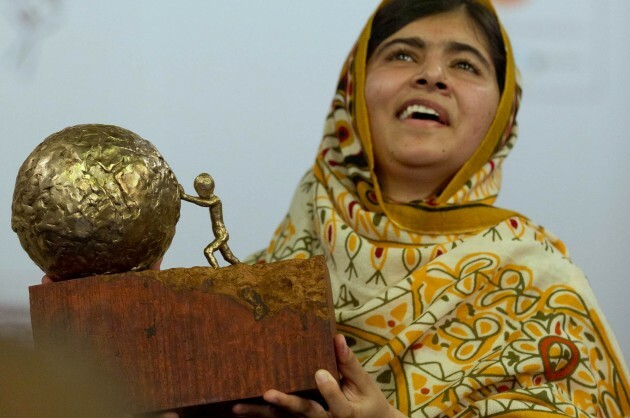 It hasn’t been the easiest journey for Pakistani teenager Malala Yousafzai who was shot in the head by the Taliban in October 2012 for publicly supporting the rights of girls’ education in her country. But her journey hasn’t ended yet, in fact it’s only ramping up! The extremist group may have guns, and bullying tactics, but they don’t have the power that this girl possesses: love, selfless ambition, and a heart to help others. Malala was nominated for the Nobel Peace Prize which was announced today, and while she didn’t win, it still marks an important step forward for the education of girls in third world countries. Malala’s work isn’t done to win prizes, she does it because she has a spark in her that she wants to share with the world. 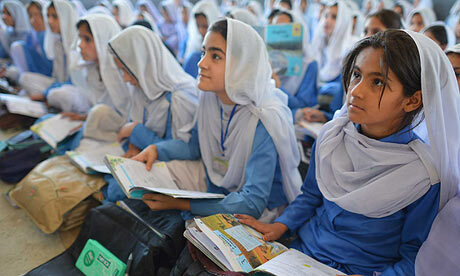 According to the New York Times, more than half of the girl population in Pakistani are not educated, and it is not uncommon to meet adult women who are illiterate. It also has the world’s second lowest rate of female employment, a statistic which is not hard to see given that the male dominated society are working hard to repress women. So why aren’t we working just as hard to change that? Because even if we don’t do anything, this incredible young woman isn’t about to slow down anytime soon. It has taken a 14 year old girl who survived a gun shot to the forehead, speaking in front of the United Nations assembly for the world to recognize this is not something we can ignore. On our plight to be enlightened, empowered, successful and strong women, we need to remember our sisters in areas that don’t have the resources we do. 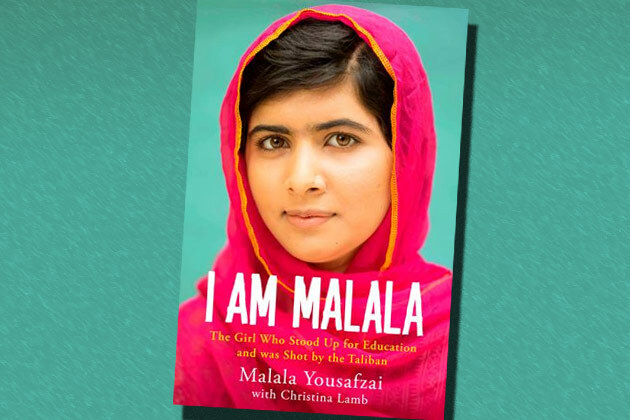 We want to take this moment to declare Malala as our here on this special day, International Day Of The Girl! This year’s focus point is “Innovating for Girl’s Education”. For all those young girls in Pakistan, and other poor countries, what is more innovative than having a teenage girl speak out in a society where women shouldn’t even be seen, and tell the world about how they want to be educated? Way to go Malala! It a 16 year old girl can use her voice as a weapon against bullies, terrorists, and oppressors and advocate the rights for girls’ education in her country, how can we using our sphere of influence to change our world? We encourage all the girls and women out there to resolve to make a difference in the lives of someone today, whether it be a friend, a neighbor, a colleague, your daughter, niece, whoever. Use whatever resource you have to help them progress, share your knowledge and support them toward a life of education, success, and fulfillment. To learn more about Malala’s story, you can read her new memoir “I Am Malala” or watch the video below where she left Jon Stewart almost speechless on The Daily Show this week!